You are here: Home / Recipes / Desserts / Almost Organic & Natural Strawberry Delight Yogurt Parfait Recipe. Organic & Natural Strawberry Delight Recipe. This past weekend Hubby, the girls, my Pops and I set off to Walmart. I had the #EqualCanada opportunity to shop for Equal, a sugar alternative and what better time to get a sweetener than when I owed my sister dessert? We went to the sweetener aisle and searched high and low for the yellow canister of Equal, which is supposed to be on Rollback for $7.97. Alas, we attempted to search for it at the Pharmacy and no luck either, just as we were putting the blue jar of Equal into our cart, we decided to take a stroll and lo and behold, a few aisles down we found it! Visit me over on Google+ to see our whole adventure, here! We had a delicious lunch and then finished it off with a nice, refreshing dessert. A healthy one at that. I was inspired by Equal’s Lemon Blueberry Mousse and I changed it up a little. I used natural and organic products and of course the Equal. As many of you know, I use another sugar alternative but, my sister prefers the Equal. 1/4 cup of Heavy Organic Cream. 1 cup of natural Vanilla Greek Yogurt. Note: This recipe is almost entirely natural and organic but, not 100%. Measure your ingredients, what was awesome about Equal was the canister was the accessibility and the ease of easily scooping and measuring what I needed. 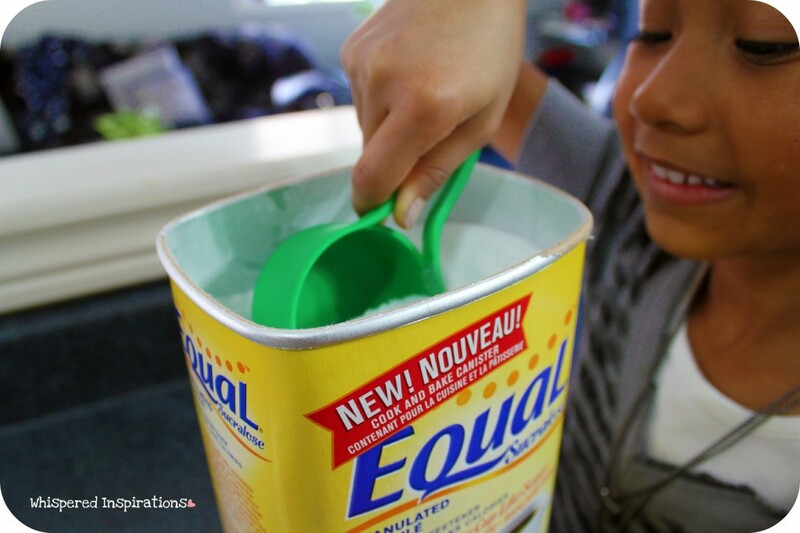 You will need 1/3 cup of Equal. Did you know that you can cut about 38% of calories by using Equal as a sugar substitute in all your recipes? Step 2: Pick your strawberries! 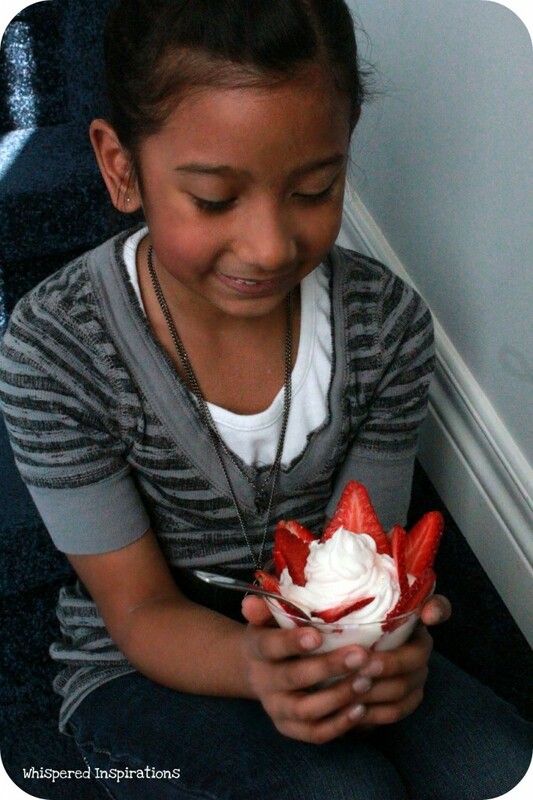 After you’ve gathered your ingredients to perfect measure, pick out the strawberries you will use for your garnishes! 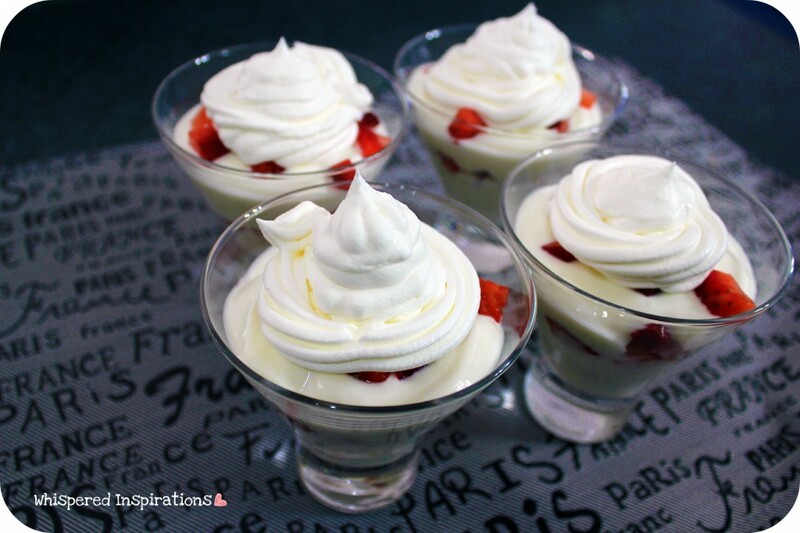 I decided to use the strawberries to decorate the Vanilla Strawberry Delight Mousse, you can get creative with them. 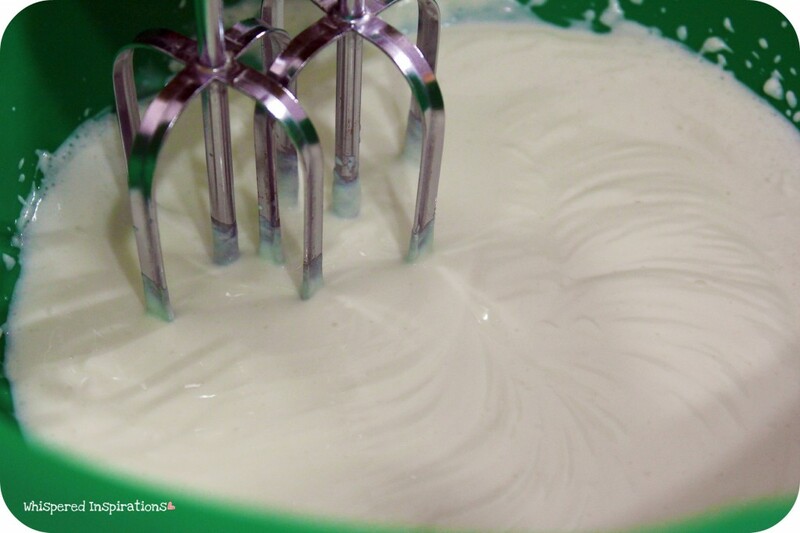 This is where most of the work is done, you mix the natural Vanilla Greek Yogurt into a bowl, add 1/3 cup of Equal and 1/4 cup of heavy organic cream. Using a hand blender, mix all the ingredients together until you reach desired fluffiness. I thoroughly mixed it and left it creamy. I let it sit while I moved on to the next step. Step 4: Cut the strawberries! You can cut the strawberries thin so you can fold them into the mixture or you can cut them into dices. This is the option I opted for and I chose to layer them instead. I diced them finely and into small little cubes. Which is especially easier for little ones to chew. Step 5: Fold them in or Layer them! Choose your favorite dessert cups, add a dollop of the Strawberry Vanilla Delight mixture, add a layer of strawberries and repeat. Step 6: Top it off & Enjoy! I used the Heavy Organic Cream to make my whipped topping. 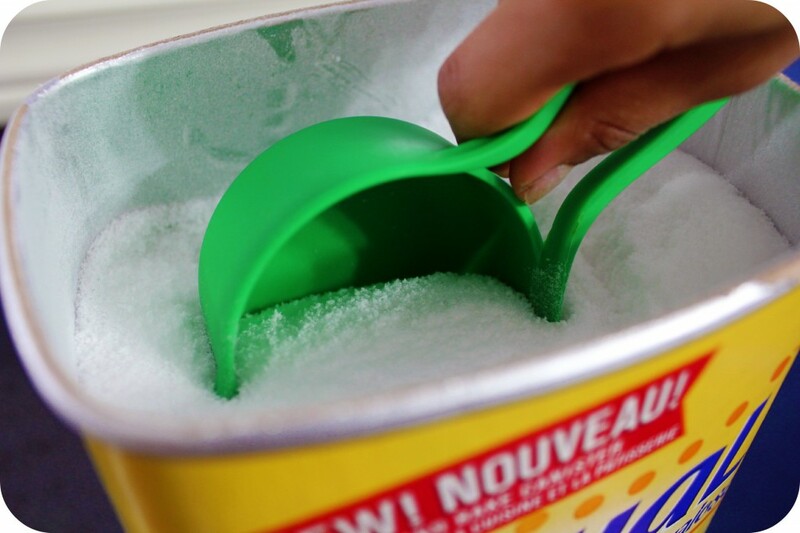 You simply take a 1 cup of the organic cream, add your desired sweetener and mix with a hand blender until fluffy. I used a piping bag and tip to adorn the top of the dessert cups and added my strawberry garnishes. It was so easy, quick and both my Hubby and eldest helped me make it! Well, having a delicious dessert doesn’t have to threaten your waistline, this is a great recipe for all my Fit & Firm buddies and anyone who wants a creamy, fresh dessert! For more Equal recipes visit them on Facebook, here. And on to see what’s new, send them a quick message on Twitter, here. Enjoy folks, til next time, cheers m’dere! Yum! I love the photos! That looks like such a yummy recipe! My Dad is diabetic and uses a sweetener. This might be good for him. Love your pics!! Yes, it's definitely great for diabetics. The great thing about any recipe is that you can tweak them to suit anyone's needs and tastes. I don't trust sweetners like Equal but I bet this was yummy. I wonder how it would work with honey? Everyone has different preferences, my sister loves sweeteners and swears by them, while my dad is for old school sugar, myself and my girls–we opt for a natural option as well. I made a batch for the girls with what I usually give them and they tasted just as good, I had one of those. While my dad and sister destroyed the Equals. Very yummy though, my dad is not one for sweets and he couldn’t get enough, he wants more. It was really yummy! Everyone enjoyed them and since my sister is so adamant about calorie-wise options, Equal is a good option for her. This looks really yummy! I’m with you though, I prefer natural sweetners but there are debates about those too! It’s really hard to know what the best choice is. Thanks, they were delish I must say! that looks amazing! yum! reminds me of summer! Thanks, I know! I can't wait for summer! Omgosh I wish I had one of those right now! I adore strawberries and this recipe would surely take care of sweet cravings! It is very yummy, hope you like it! I am so happy you posted this truly delicious recipe that I can now make for my diabetic husband to enjoy.Thank you so much. 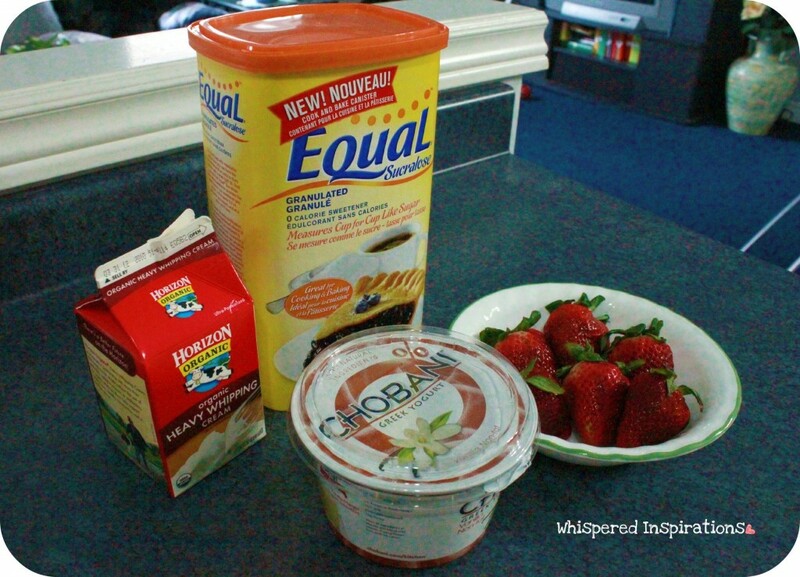 looks good and simple to make….I would substitute stevia for my sweetener when I make it. 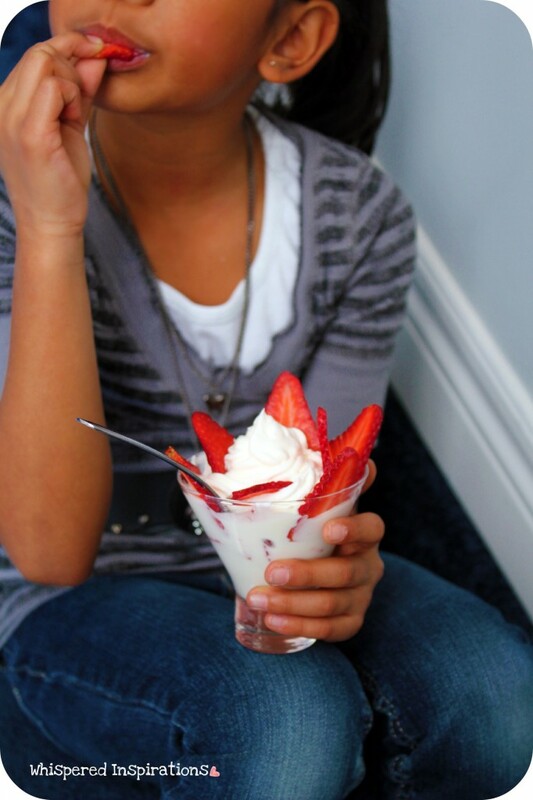 I love strawberries & low-cal recipes. This looks amazing and perfect to make for my family because some of them are diabetic.Thanks so much for sharing this. Oh you’re very welcome! Hope you like it!